Tired of things going wrong? Don't get down...Get the Fit-It Felix Hammer! 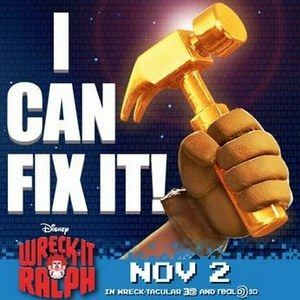 Walt Disney Pictures has released a new infomercial, along with eight TV spots for Wreck-It Ralph, featuring the hero of the Wreck-It Ralph video game. Watch and find out how the Fix-It Felix Hammer can fix all of the problems in your life (God knows I could use a Fix-It Felix Hammer)! Or your money back, guaranteed!